The 1st Panzer Army (German: 1. Panzerarmee) was a German tank army which was a large armoured formation of the Wehrmacht during World War II. When originally formed on 1 March 1940, the 1st Panzer Army was named Panzer Group Kleist (Panzergruppe Kleist) with Colonel General Ewald von Kleist in command. Panzer Group Kleist was the first operational formation of several Panzer corps in the Wehrmacht. 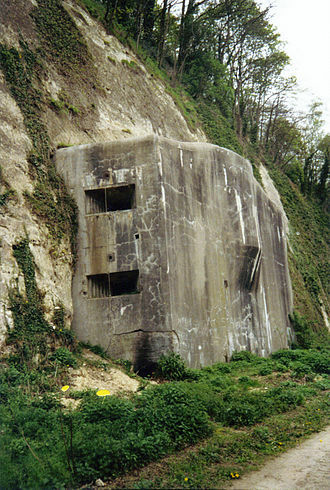 Created for the Battle of France on 1 March 1940; it was named after its commander Ewald von Kleist. Panzer Group Kleist played an important role in the Battle of Belgium. Panzer corps of the Group broke through the Ardennes and reached the sea, forming a huge pocket, containing several Belgian, British, and French armies. 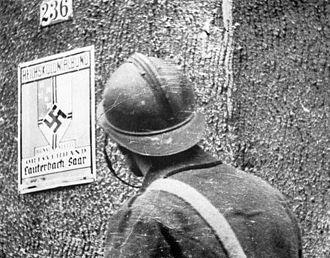 When the armistice was signed, Group was deployed in occupied France, being renamed into Panzer Group 1 (Panzergruppe 1) in November. 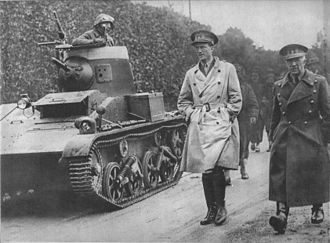 In April 1941, Panzer Group 1 took part in the invasion of Yugoslavia as part of Field Marshal Maximilian von Weichs's Second Army. In May 1941 Panzer Group 1 was attached to Field Marshal Gerd von Rundstedt's Army Group South at the beginning of Operation Barbarossa. At the start of Operation Barbarossa in June 1941, Panzer Group 1 included the III, XIV and XLVIII Army Corps (mot.) with five panzer divisions and four motorized divisions (two of them SS) equipped with 799 tanks. 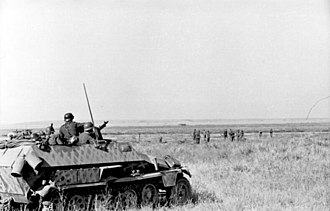 Panzer Group 1 served on the southern sector of the Eastern Front against the Red Army and was involved the Battle of Brody which involved as many as 3,000 Red Army tanks. The units of the Group closed the encirclement around the Soviet armies near Uman and near Kiev. 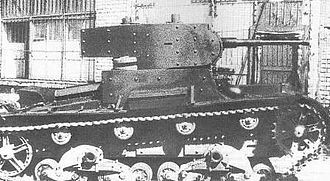 After the fall of Kiev Panzer Group 1 was enlarged to the 1st Panzer Army (on October 6, 1941) with Kleist still in command. The army captured Rostov, but was forced to retreat eight days later. In January 1942, Army Group Kleist, which consisted of the First Panzer Army along with the Seventeenth Army, was formed with its namesake, Kleist, in command. Army Group Kleist played a major role in repulsing the Red Army attack in the Second Battle of Kharkov in May 1942. Army Group Kleist was disbanded that month. 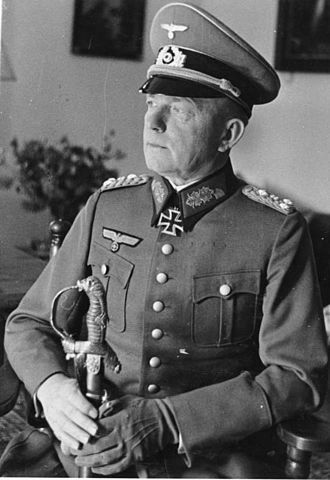 The First Panzer Army, still under Kleist, which had been attached to Army Group South earlier, became part of Army Group A under Field Marshal Wilhelm List. 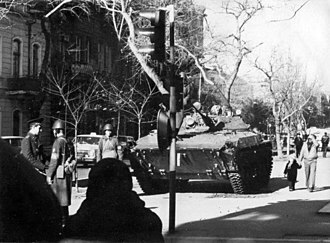 Army Group A was to lead the thrust into the Caucasus during Operation Blue and capture Grozny and the Baku (current capital of Azerbaijan) oilfields. The First Panzer Army was to spearhead the attack. Rostov, Maykop, Krasnodar and the Kuban region were captured. 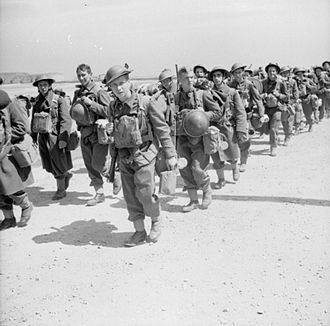 In September 1942, the offensive by Army Group A stalled in the Caucasus and List was sacked. 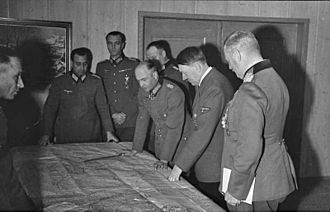 After Adolf Hitler briefly took personal control of Army Group A, he appointed Kleist to the command on 22 November 1942. 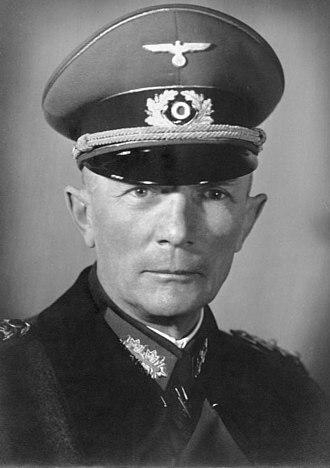 As Kleist took over, Colonel-General Eberhard von Mackensen took the reins of the First Panzer Army. In December 1942, as the German 6th Army was being crushed in the Battle of Stalingrad, the Red Army launched an offensive against Army Group A. The First Panzer Army was ordered to retreat through Rostov in January 1943, before the Soviet forces could cut it off in the Kuban. By February 1943, the army had been withdrawn west of the Don River and Kleist withdrew the remains of his forces from Caucasus into the Kuban, east of the Strait of Kerch. In January 1943, von Mackensen's First Panzer Army became attached to Army Group Don under Field Marshal Erich von Manstein. The month after that, von Manstein redeployed the First Panzer Army together with the Fourth Panzer Army to counter-attack the Soviet breakthrough from the Battle of Stalingrad. The First Panzer Army contributed to the success of the Third Battle of Kharkov in March 1943. In October 1943 Soviet forces crossed the Dnieper River between Dnipropetrovsk and Kremenchug. The First Panzer Army counter-attacked along with the 8th Army, but failed to dislodge the Soviet forces. At the end of that month, as the Red Army closed in on Kiev, von Mackensen was replaced by Colonel-General Hans-Valentin Hube. The First Panzer Army remained attached to Army Group South from March 1943 to July 1944. By that time German troops had been pulled out from the Ukraine. In March 1944, crisis hit the First Panzer Army as it was encircled by two Soviet fronts in the Battle of Kamenets-Podolsky pocket. A successful breakthrough was made, saving most of the manpower but losing the heavy equipment. 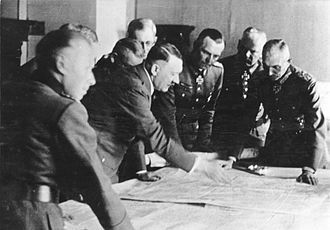 That same month Hitler, who insisted his armies fight an inflexible defense to the last man, dismissed von Manstein. In October 1941, when the First Panzer Army had been formed, it was a large army consisting of four corps, several infantry, panzer, motorized, mountain, and SS divisions, along with a Romanian army and some Italian, Romanian, Hungarian, and Slovak divisions. By the spring of 1944, the First Panzer Army had shrunk considerably, consisting of only three corps, two infantry, four panzer, and one SS division. After July 1944 it retreated from Ukraine and Poland before fighting with Army Group A in Slovakia (Battle of the Dukla Pass). During its existence, from October 1941 to May 1945, the First Panzer Army spent its entire time on the Eastern Front. 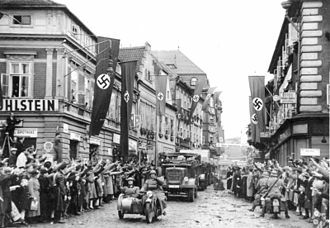 In the spring of 1945, the First Panzer Army's main task was to defend the Ostrava region in the north of Moravia, which was at the time the last large industrial area in the hands of Third Reich. There the First Panzer Army was facing the advance of 4th Ukrainian Front from north-east (Ostrava-Opava-Operation, 10 March – 5 May 1945) and had lost most of its heavy and medium tanks. At the same time however the Panzer Army was flanked by the 2nd Ukrainian Front from the south (Bratislava-Brno Operation, 25 March – 5 May 1945). 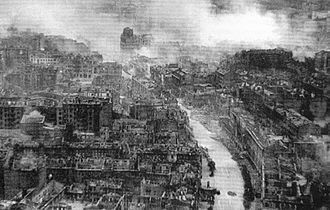 German defensive lines finally collapsed in the early hours of Prague Offensive. The staff of First Panzer Army, along with other commands subordinated to Army Group Center, surrendered to the Soviet forces on 9 May 1945 in the area of Deutsch-Brod, while the remnants of its Panzer-units were scattered and captured all the way from Olomouc to Vysočina Region. Its last commander was general Walter Nehring, who abandoned his staff and fled south to surrender to the American forces. ^ Sheppard, Alan (1990). France, 1940: Blitzkrieg in the West. Oxford: Osprey. p. 81. ISBN 978-0-85045-958-6. ^ a b Ziemke 2002, p. 17. ^ Ziemke 2002, pp. 18-19. ^ Ziemke 2002, pp. 19, 3–4. 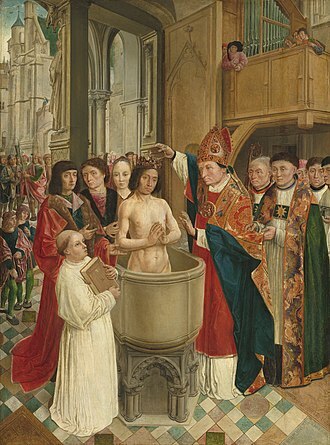 ^ Ziemke 2002, p. 71. ^ a b Ziemke 2002, p. 85. ^ Ziemke 2002, pp. 86, 85. ^ Ziemke 2002, pp. 94-96. ^ Ziemke 2002, pp. 184-185. ^ Ziemke 2002, p. 280. ^ Ziemke 2002, p. 282. ^ Ziemke 2002, p. 286. ^ Ziemke 2002, p. 359. 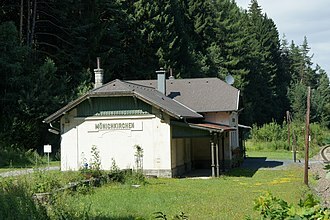 ^ Raus 2003, p. 353. Barnett, Correlli. 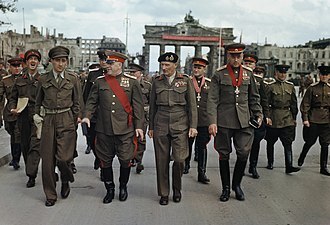 Hitler's Generals. New York: Grove Weidenfeld, 1989. Battistelli, Pier Paolo (2012). Panzer Divisions: The Blitzkrieg Years 1939–40. Osprey. ISBN 9781472800824. Mitcham Jr., Samuel W. (2006). Panzer Legions: A Guide to the German Army Tank Divisions of World War II and their Commanders. Stackpole Books. ISBN 9781461751434. George M. Nipe (2012). 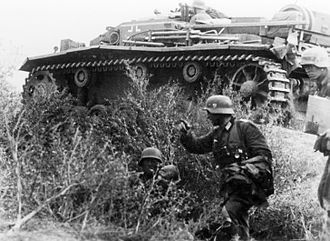 Decision in the Ukraine: German Panzer Operations on the Eastern Front, Summer 1943. Stackpole Books. ISBN 0811711625 – via Google Books. Raus, Erhard (2003). Panzer Operations: The Eastern Front Memoirs of General Raus, 1941–1945. Cambridge: Da Capo Press. ISBN 978-0-306-81247-7. Ziemke, Earl F.; Bauer III, Magna E. (1987). Moscow to Stalingrad: Decision in the East. Washington D.C.: Center of Military History, US Army. ISBN 9780160019425. Ziemke, Earl F. (2002). Stalingrad to Berlin: The German Defeat in the East. Washington D.C.: Center of Military History, US Army. ISBN 9781780392875. Rostov-on-Don is a port city and the administrative center of Rostov Oblast and the Southern Federal District of Russia. It lies in the part of the East European Plain on the Don River,32 kilometers from the Sea of Azov. The southwestern suburbs of the city abut the Don River delta, from ancient times, the area around the mouth of the Don River has held cultural and commercial importance. 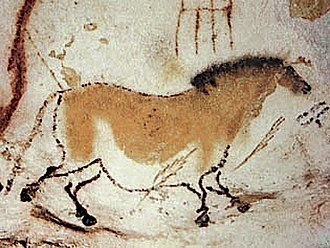 Ancient indigenous inhabitants included the Scythian and Savromat tribes and it was the site of Tanais, an ancient Greek colony, Fort Tana, under the Genoese and Fort Azak in the time of the Ottoman Empire. In 1749, a house was established on the Temernik River, a tributary of the Don, by edict of Empress Elizabeth. It was co-located with a named for Dimitry of Rostov. Azov, a closer to the Sea of Azov on the Don. In 1756, the Russian commercial and trading company of Constantinople was founded at the settlement on the high bank of the Don. In 1796, the settlement was chartered and in 1797, it became the seat of Rostovsky Uyezd within Novorossiysk Governorate, in 1806, it was officially renamed Rostov-on-Don. During the 19th century, due to its connections with Russias interior, Rostov developed into a major trade center. 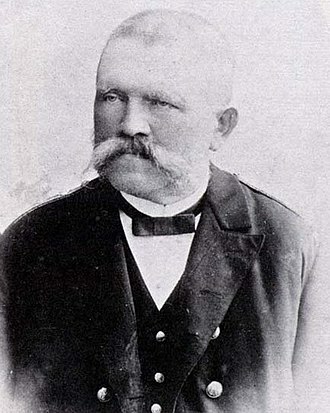 A railway connection with Kharkiv was completed in 1870, with further links following in 1871 to Voronezh, concurrent with improvements in communications, heavy industry developed. Coal from the Donets Basin and iron ore from Krivoy Rog supported the establishment of a foundry in 1846. In 1859, the production of pumps and steam boilers began, the harbor was one of the largest trade hubs in southern Russia, especially for the export of wheat and iron ore. In 1779, Rostov-on-Don became associated with a settlement of Armenian refugees from the Crimea at Nakhichevan-on-Don, the two settlements were separated by a field of wheat. 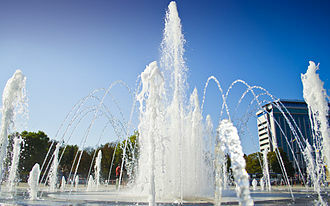 In 1928, the two towns were merged, the former town border lies beneath the Teatralnaya Square of central Rostov-on-Don. 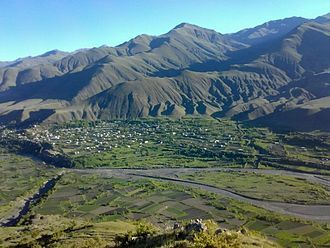 By 1928, following the incorporation of the neighboring city of Nakhichevan-on-Don. In the early 20th century, epidemics of cholera during the months were not uncommon. 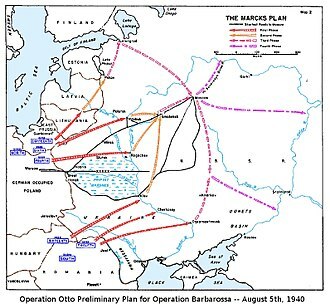 Known to the German side as the Donets Campaign, and in the Soviet Union as the Donbas and Kharkov operations, the German counterstrike led to the recapture of the cities of Kharkov and Belgorod. As the German Sixth Army was encircled in Stalingrad, the Red Army undertook a series of attacks against the rest of Army Group South. 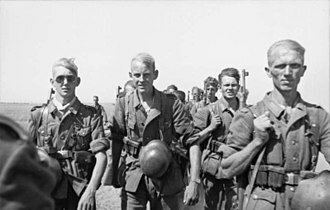 The Soviet victories caused participating Soviet units to over-extend themselves, months of continuous operations, had taken a heavy toll on the Soviet forces and some divisions were reduced to 1, 000–2,000 combat effective soldiers. On 19 February, Field Marshal Erich von Manstein launched his Kharkov counterstrike, using the fresh II SS Panzer Corps, the Wehrmacht flanked and defeated the Red Armys armored spearheads south of Kharkov. This enabled Manstein to renew his offensive against the city of Kharkov proper on 7 March, despite orders to encircle Kharkov from the north the SS Panzer Corps instead decided to directly engage Kharkov on 11 March. This led to four days of fighting before Kharkov was recaptured by the 1st SS Panzer Division on 15 March. 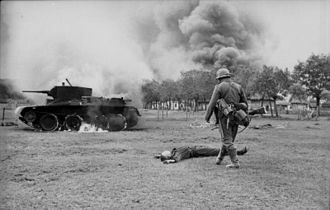 The German forces recaptured Belgorod two days later, creating the salient which in July 1943 would lead to the Battle of Kursk, the German offensive cost the Red Army an estimated 90,000 casualties. 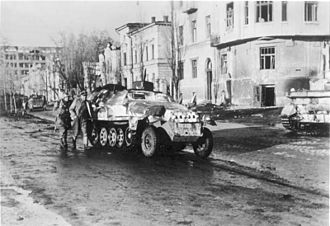 The house-to-house fighting in Kharkov was particularly bloody for the German SS Panzer Corps, at the start of 1943, the German Wehrmacht faced a crisis as Soviet forces encircled and reduced the German Sixth Army at Stalingrad and expanded their Winter Campaign towards the Don River. On 2 February 1943 the Sixth Armys commanding officers surrendered, total German losses at the Battle of Stalingrad, excluding prisoners, were between 120,000 and 150,000. Throughout 1942 German casualties totaled around 1.9 million personnel, on 2 February, the Red Army launched Operation Star, threatening to recapture the cities of Belgorod and Kursk. A Soviet drive, spearheaded by four tank corps organized under Lieutenant-General Markian Popov, pierced the German front by crossing the Donets River, despite Hitlers orders to hold the city, Kharkov was abandoned by German forces and the city was recaptured by the Red Army on 16 February. 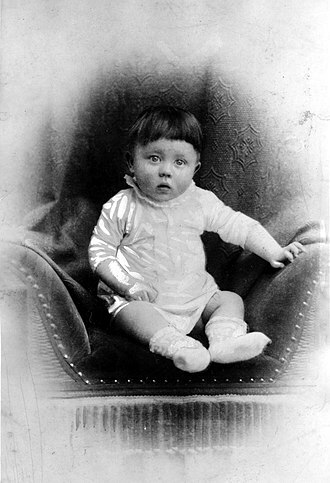 Hitler immediately flew to Mansteins headquarters at Zaporizhia, on 19 February Soviet armored units broke through the German lines and approached the city. In view of the situation, Hitler gave Manstein operational freedom. 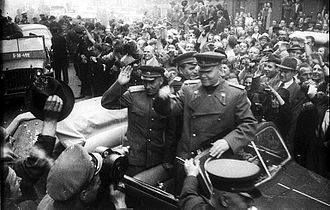 When Hitler departed, the Soviet forces were only some 30 kilometers away from the airfield, by this time Stavka believed it could decide the war in the southwest Russian SFSR and eastern Ukrainian SSR, expecting total victory. 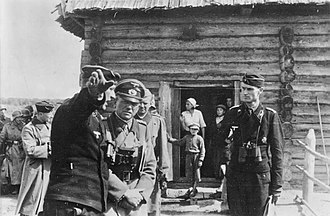 The surrender of the German Sixth Army at Stalingrad freed six Soviet armies, under the command of Konstantin Rokossovsky, which were refitted and reinforced by the 2nd Tank Army and these forces were repositioned between the junction of German Army Groups Center and South. 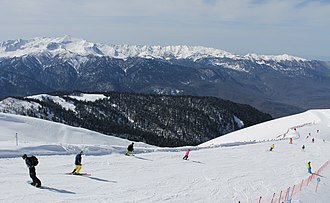 Originally planned to begin between 12–15 February, deployment problems forced Stavka to push the date back to 25 February. 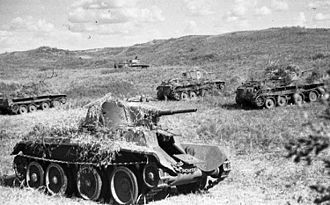 Meanwhile, the Soviet 60th Army pushed the German Second Armys 4th Panzer Division away from Kursk and this opened a 60 kilometers breach between these two German forces, shortly to be exploited by Rokossovskys offensive. Rostov is a town in Yaroslavl Oblast, one of the oldest in the country and a tourist center of the Golden Ring. It is located on the shores of Lake Nero,202 kilometers northeast of Moscow, while the official name of the town is Rostov, it is known to Russians as Rostov Veliky, i. e. This name is used to distinguish it from Rostov-on-Don, which is now a larger city. Rostov Yaroslavsky is the name of its railway station. First mentioned in the year 862 as an important settlement. 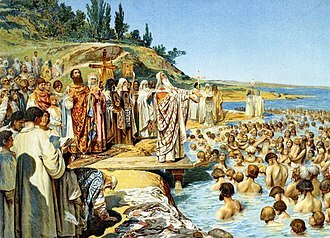 It was incorporated into Muscovy in 1474, even after it lost its independence, Rostov was still an ecclesiastic center of utmost importance. 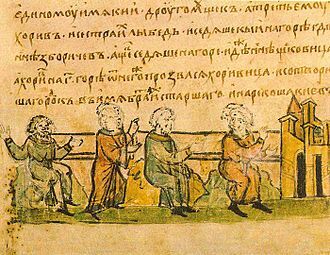 In the 14th Century, the bishops of Rostov became archbishops, one of those metropolitans, Iona Sysoyevich, commissioned the towns main landmark, the kremlin that many regard as the finest outside of Moscow. 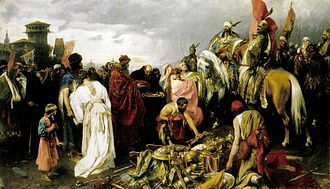 Ravaged by the Mongols in the 13th and 14th centuries and the Poles in 1608, the metropolitan see was transferred to Yaroslavl late in the 18th century. Apart from its history, Rostov is renowned for its enamels, within the framework of administrative divisions, Rostov serves as the administrative center of Rostovsky District, even though it is not a part of it. As an administrative division, it is incorporated separately as the town of oblast significance of Rostov—an administrative unit with the equal to that of the districts. As a municipal division, the town of oblast significance of Rostov is incorporated within Rostovsky Municipal District as Rostov Urban Settlement, the central square of Rostov is occupied by the Assumption Cathedral. It is unknown when the present building was erected, the century being the most likely date. Lower parts of the walls are dated to the 12th century. The ponderous bell-tower was constructed mostly in the 17th century and its bells are among the largest and most famous in Russia - each has its own name. The largest bell, cast in 1688, weighs 32,000 kilograms and it is named Sysoy to honor the citys founding father. An area situated between the square and the lake was chosen by Iona Sysoevich as a place for his fairy-tale residence. All the construction works were carried out between 1667 and 1694, major buildings include the ornate Savior Church-na-Senyakh, the sombre Church of St. The invasion of Yugoslavia, known as the April War or Operation 25, was a German-led attack on the Kingdom of Yugoslavia by the Axis powers which began on 6 April 1941 during World War II. 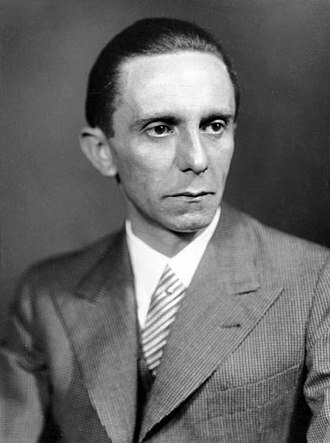 The order for the invasion was put forward in Führer Directive No,25, which Adolf Hitler issued on 27 March 1941, following the Yugoslav coup détat. 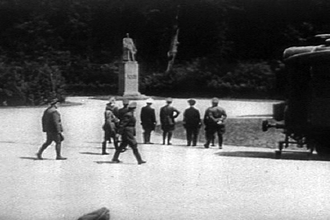 The invasion commenced with an air attack on Belgrade and facilities of the Royal Yugoslav Air Force by the Luftwaffe. These attacks were followed by German thrusts from Romania, Italian forces were limited to air and artillery attacks until 11 April, when the Italian army attacked towards Ljubljana and through Istria and Lika and down the Dalmatian coast. On the same day, Hungarian forces entered Yugoslav Bačka and Baranya, a Yugoslav attack into the northern parts of the Italian protectorate of Albania met with initial success, but was inconsequential due to the collapse of the rest of the Yugoslav forces. 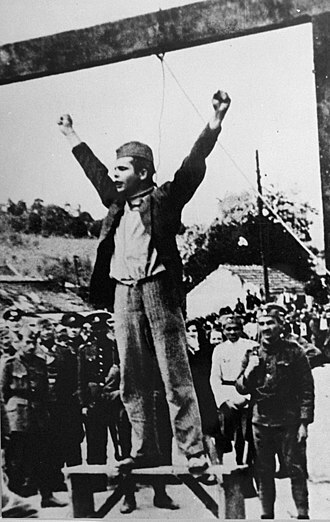 The invasion ended when an armistice was signed on 17 April 1941, based on the surrender of the Yugoslav army. 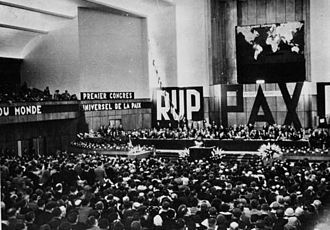 Yugoslavia was occupied and partitioned by the Axis powers, some areas of Yugoslavia were annexed by neighboring Axis countries, some areas remained occupied, and in other areas Axis puppet states such as the Independent State of Croatia were created. 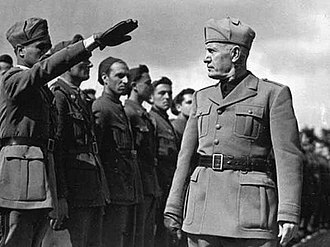 Along with Italys stalled invasion of Greece on 28 October 1940, and the German-led invasion of Greece and invasion of Crete, in October 1940, Fascist Italy had attacked the Kingdom of Greece only to be forced back into Albania. 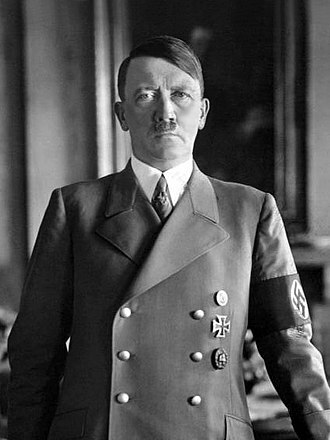 German dictator Adolf Hitler recognised the need to go to the aid of his ally, Hitler did this not only to restore diminished Axis prestige, but to prevent Britain from bombing the Romanian oilfields from which Nazi Germany obtained most of its oil. In 1940 and early 1941, Hungary and Bulgaria all agreed to adhere to the Tripartite Pact, Hitler pressured Yugoslavia to join as well. The Regent, Prince Paul, yielded to pressure. This move was unpopular with the Serb-dominated officer corps of the military and some segments of the public. 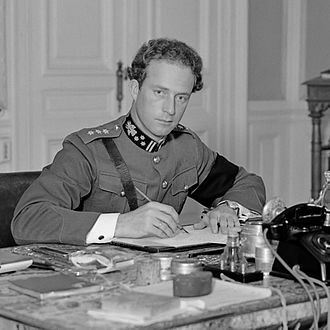 Military officers executed a coup détat on 27 March 1941, and forced the Regent to resign, while King Peter II, upon hearing news of the coup in Yugoslavia, Hitler called his military advisers to Berlin on 27 March. 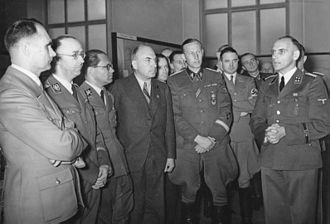 On the same day as the coup he issued Führer Directive 25 which called for Yugoslavia to be treated as a hostile state, Hungary had joined the Tripartite Pact on 20 November 1940. 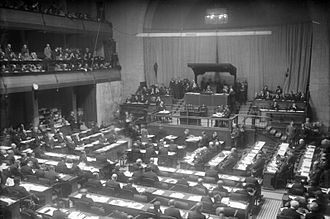 On 12 December it concluded a treaty with the Kingdom of Yugoslavia calling for permanent peace, the Hungarian leadership was split after Germanys War Directive 25 was delivered on 27 March 1941. 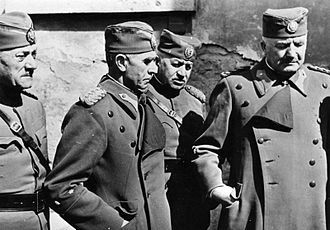 Regent Miklós Horthy and the military favoured taking part in the invasion of Yugoslavia, Prime Minister Pál Teleki sought to prevent German troops passing through Hungary and cited the peace treaty with Yugoslavia as an impediment to cooperation with the Germans. 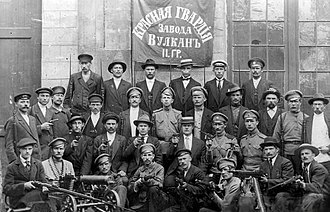 On 1 April Yugoslavia redesignated its Assault Command as the Chetnik Command, the command was intended to lead a guerrilla war should the country be occupied. 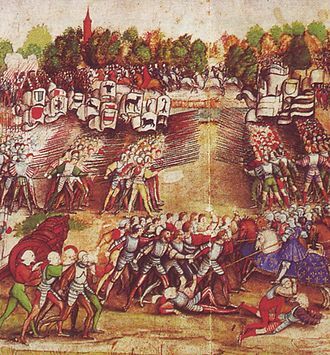 Swiss mercenaries and German Landsknechts fighting for glory, fame and money at the Battle of Marignan (1515). 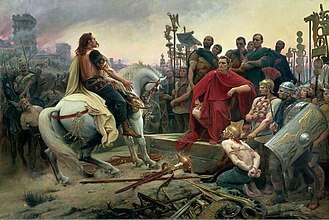 The bulk of the Renaissance armies was composed of mercenaries.